Beautifully presented traditional bay fronted, extended 3 bed semi-detached house. 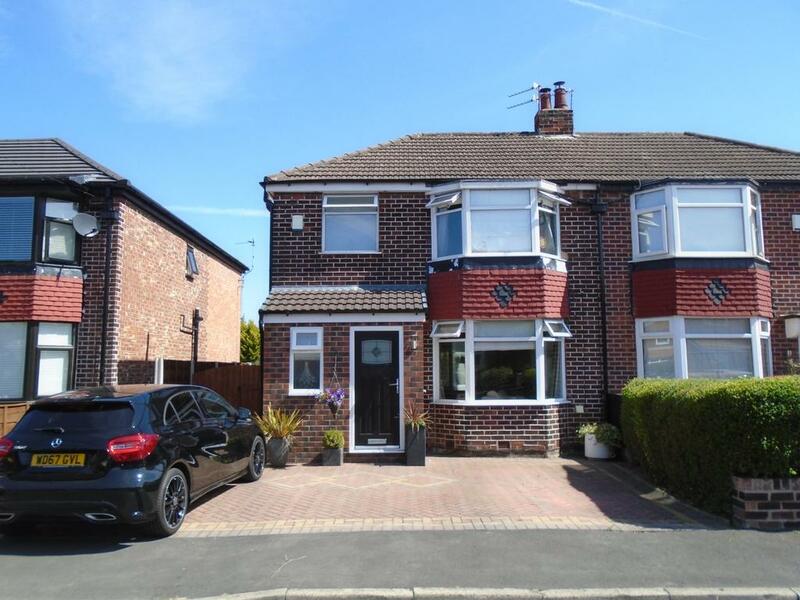 Situated in a quiet cul-de-sac in a popular residential area, within walking distance of Cheadle village. Close to motorway junction and within the catchment area of 'outstanding' Ofsted rated schools. The accommodation comprises of an entrance porch with downstairs WC, ceramic tiled hall flooring with underfloor heating, a large living room with working period open fire. Double doors opening through to an extended kitchen/diner with French doors to the garden. The upper floor is comprised of 2 double bedrooms, a single bedroom and family bathroom. GCH and double glazed throughout. This lovely family home has a 90ft. well maintained and well stocked garden which is not overlooked at the rear. Large decked patio area. Private driveway with off road parking for up to 3 vehicles.